The Urus Super SUV will be up against the likes of the Bentley Bentayga, Maserati Levante, and Range Rover SVAutobiography. First deliveries in the UK will be in spring 2018, with prices starting from £131,500. If you think of Lamborghini, you’ll think of the slick, bold, brightly-coloured supercars, the Aventador and the Huracan. But this is the company’s third current model, and perhaps surprisingly, it’s a coupe-like SUV. 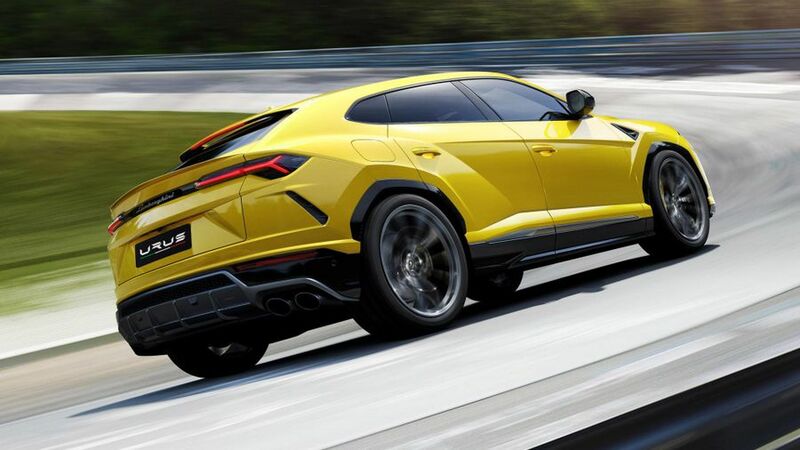 The Urus is described as a Super Sport Utility Vehicle, or an SSUV? It’s basically a very powerful, very fast, very expensive SUV, that will be going up against the likes of the Bentley Bentayga, Range Rover SVAutobiography, and Maserati Levante. The name Urus, also known as Aurochs, is a large, wild ancestor of domestic cattle, and the Spanish fighting bull is similar in appearance. It has taken design cues from other Lamborghinis, including the two-thirds body, one-third window ratio of Lamborghini’s other cars. It features a front-mounted 4.0-litre V8 twin-turbo petrol engine delivering 650 horsepower, which is the first turbo engine in a Lamborghini. It can see off the 0-62mph sprint in 3.6 seconds, 0-124mph in 12.8 seconds, and a top speed of 190mph, but also has big carbon ceramic brakes as standard to help you stop more efficiently on the 21-23 inch wheels. The Urus comes with an eight-speed automatic gearbox, with short low gear ratios and longer high gears. It’s got great acceleration, and high speed at low engine revs, which will help with fuel consumption and emissions. Lamborghini says it will also have off-road ability in a range of environments, and it has different driving modes, including Strada (road), Terra (off-road), Neve (snow), Sabbia (sand) Sport, and Corsa. It’s got four-wheel drive, and can enhance traction to the front or rear axle, depending on which has higher ground friction. 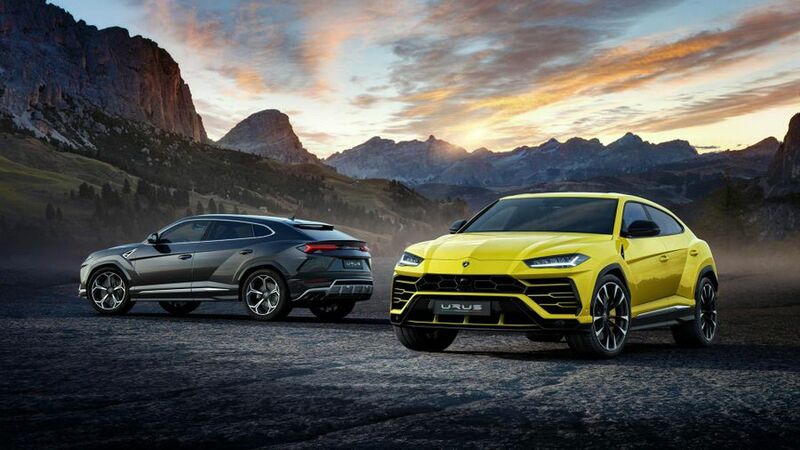 In the off-road modes, torque vectoring technology will help to reduce understeer for safe and simple driving, but in the sportier modes, the torque vectoring will help the Urus become more agile, with more oversteer. And in sand mode, the grip will be reduced, for off-road fun. 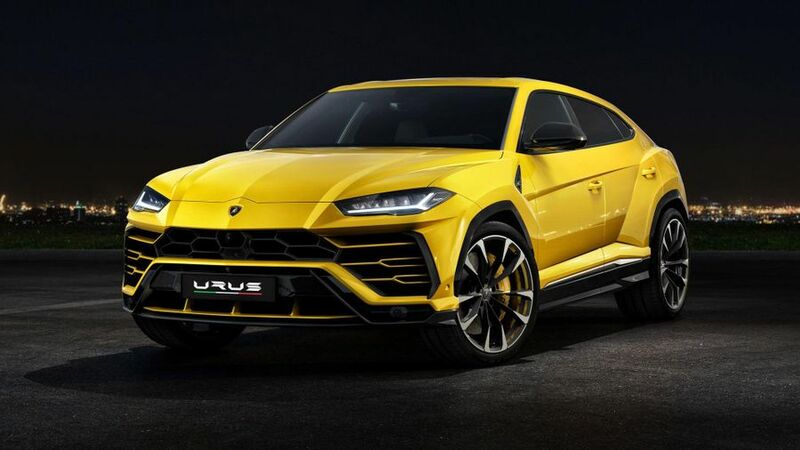 And between all those driving modes, the V8 engine will change the sound and feel of the Urus, along with a different exhaust noise too, which increases with speed. That’s along with a change in height, with the off-road settings giving a higher ground clearance. Inside, things are still very Lamborghini, so there’s plenty of leather, Alcanatara, aluminium, carbon fibre and wood around the cabin. The driver and passengers sit low in a sports car seat position, with the cockpit controls in easy reach. The front seats are fully electric, heated, and 12-way adjustable, with the rear seats able to move back and forth, and featuring Isofix points. The infotainment system can be controlled via two touch-screens, or with switches on the steering wheel. The upper screen is used to manage entertainment, navigation, telephone and car status, with the lower screen acting as a keyboard and handwriting compatible screen, and to control functions like climate control and seat heating. Of course, Bluetooth connectivity, USBs, a DVD player, and a sound system are included as standard. But somewhat surprisingly, DAB, Apple CarPlay and Android Auto are on the options list, along with a head-up display, premium Bang & Olufsen sound system, and a TV tuner. The boot measures 616 litres with the rear seats up, but this can be extended by lowering the rear seats. That's a bit bigger than you'd expect in a Lamborghini! Standard features in the Urus include a high beam assistant, which turns the main beam off and on when traffic approaches, front and rear parking sensors, cruise control, and Easyload Assist, which lowers the height of the car to load heavy items more easily. Optional technology includes traffic management systems, a top-view camera, and a trailer coupling mode. You can also specify an automatic tailgate. The first customers will be able to get their hands on the Lamborghini Urus in spring 2018, and it will cost from £131,500.